Google is beginning to depreciate website rankings if they do not have https:// at the front of their URL (website address) and if the website does not have an SSL certificate. SSL certificates are small data files that digitally bind a cryptographic key to a website’s details. When installed on a website, it activates the green padlock and the https:// protocol and allows a secure connection between a website to a browser. When you shop online you may notice the padlock in front of the address. That means that the information that you input (credit cards numbers, passwords, etc.) is safe because the SSL means that the information has been encrypted. Google is requiring the SSL certificate for all websites so that users feel more secure. Not having one will result in Google flagging a website as unsafe, thus users may choose not continue on to the website which can results in lower rankings. 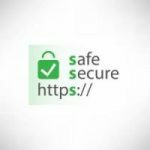 SSL certificates should be free (in fact you can get one from Abacus Web Services) and installed by a professional webmaster.